Young people living with chronic illness face difficult challenges their peers may never know. So you’d think their classmates, teammates and others would cut ill kids some slack. Sadly, that is not the case. Study after study after study shows that chronically ill young people are more likely to be the victims of bullying than their healthy peers. Different studies find different rates, but most show that a chronically ill adolescent has about 45 percent chance of being bullied, compared to about 30 percent chance for well teenagers. Most studies also show it’s about being different. “Unfortunately, children who stand out in any way, because of their health, their race, their orientation, or anything else that distinguishes them from most kids in a school, can find themselves a target of bullying,” said Mark Schuster, M.D., professor of pediatrics at Children’s Hospital Boston and Harvard Medical School, in an article for The Center for Advancing Health. This is no longer a hidden problem, and along with recognition come strategies to stop the bullying of young people with disabilities. The U.S. Department of Education has even released specific guidelines to help schools reduce bullying of disabled students. Some strategies include adult supervision, training for support staff, clear policies to address bullying, and notifying parents when bullying occurs. But most importantly, according to the U.S. Department of Education, is working toward a school-wide culture of tolerance. Rather than any single strategy, prioritizing inclusion can, “create an appropriate social culture, learning and teaching environment, achieve academic and social success, and minimize problem behavior, including reducing the risks and decreasing the occurrence of bullying,” the Department writes. Preventing bullying of challenged young adults starts with the awareness that any difference creates the opportunity for exclusion. And bullying stops when a school decides to focus on inclusion. By helping transform the culture of schools, we can help ensure our chronically ill children meet a community of support rather than one of further challenge when the school bell rings. But as parents, we cannot solely count on schools to teach tolerance and acceptance– families must also protect vulnerable children by opening up channels of communication with them. Don’t assume your child with a health disability (or any kind of difference from classmates) will come to you if he is bullied. 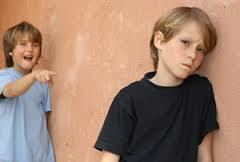 Many bullied individuals are ashamed to admit what is going on in the school quad, gym class, or in the hallways. Parents must create opportunities to discuss bullying and ask children whether any hurtful behavior is occurring during the school day. Be on the lookout for signs that something is bothering your child emotionally, and do not hesitate to ask why. If bullying is indeed a problem, the parent must contact the school principal in order to rectify the problem before it gets worse. One way to give a child with illness an opportunity to open up about potential bullying is to suggest they keep a journal by their bedside. It is often easier for kids initially to write about the problem than to speak about it—once they’ve gotten their feelings out on paper rather than internalizing them, it can be much easier for them to discuss emotional issues with parents, teachers or health professionals.